Subclass 190: more than five years of work experience post-qualification in the nominated occupation and a formal job offer from a Tasmanian employer. Subclass 489: more than five years of work experience post-qualification in the nominated occupation and a demonstrated strong and genuine interest from a Tasmanian employer and/or strong and current links to Tasmania. Subclass 190: more than five years of work experience post-qualification in the nominated occupation and a formal job offer from a Tasmanian employer. 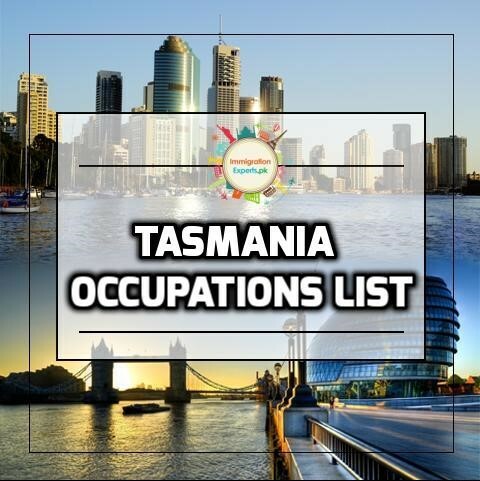 Subclass 489: must have relocated to Tasmania and been employed in the nominated or closely-related occupation for at least six months post qualification. This list does not apply to ‘Tasmanian graduates’ or those who intend to be self-employed. All applicants must read the full nomination guidelines before applying. Islamabad Address: Office 1-A, First Floor, Sardar Begum Plaza, Jinnah Avenue, Blue Area, Islamabad, Pakistan.